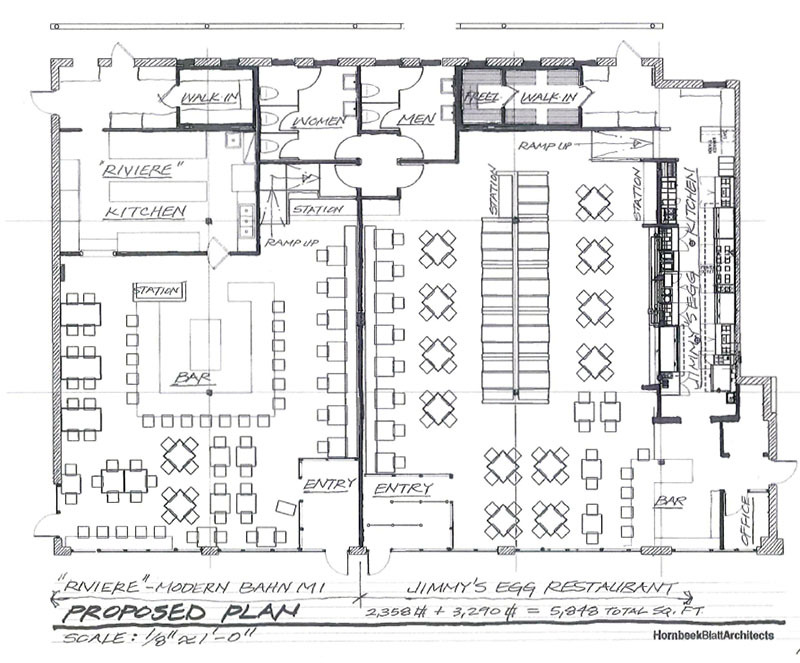 As we had previously reported, Jimmy's Egg and Riviere restaurants are under construction in Midtown at 905 N. Hudson. 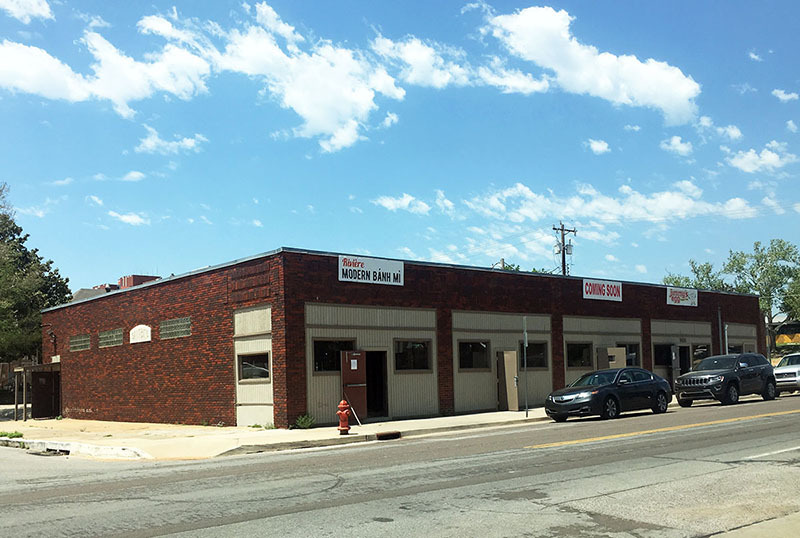 Now, the owners have filed detailed renovation plans by Hornbeek-Blatt Architects showing the intent to remove unsightly plywood and return the original glass openings to the 1940's building that was most recently home to a drug recovery program. Jimmy's Egg is a popular local breakfast chain and Riviere is a new operation that will specialize in Bahn Mi sandwiches and feature a bar. The two will split the building's 5,850 square feet. 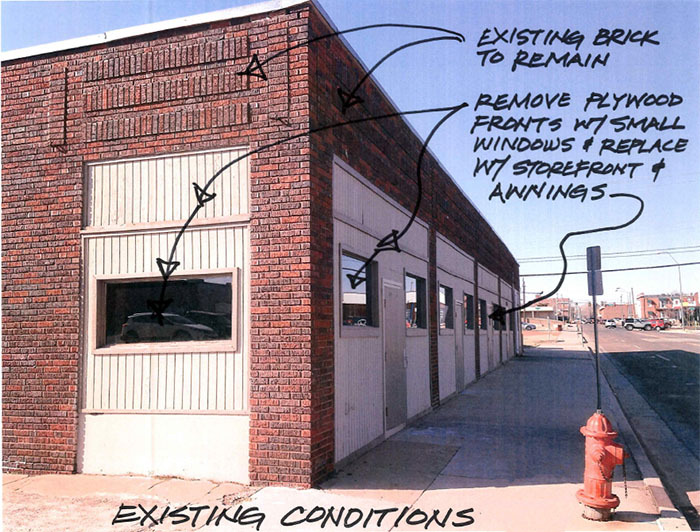 The proposal submitted to the Downtown Design Review Committee indicate the original brick will be retained along with the clerestory glass block windows and the cast stone identification on the south elevation. 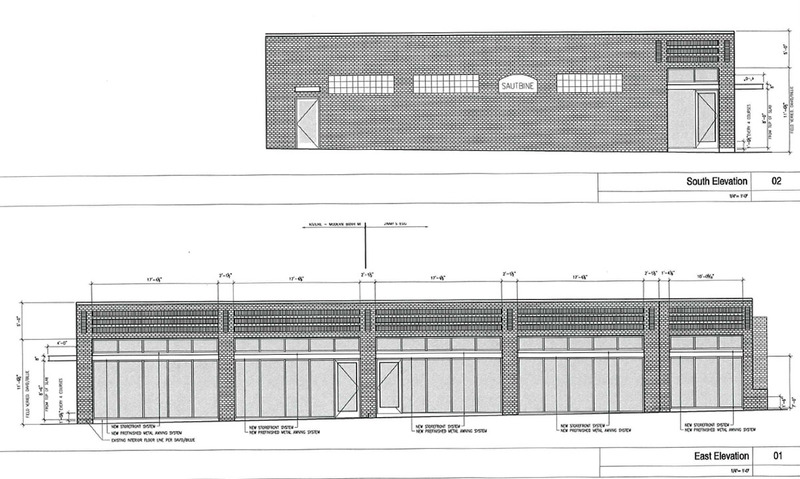 But all the storefronts will be replaced with new glass filling the openings and new metal awnings above. On the south side of the building, Riviere will have outdoor tables and umbrellas. 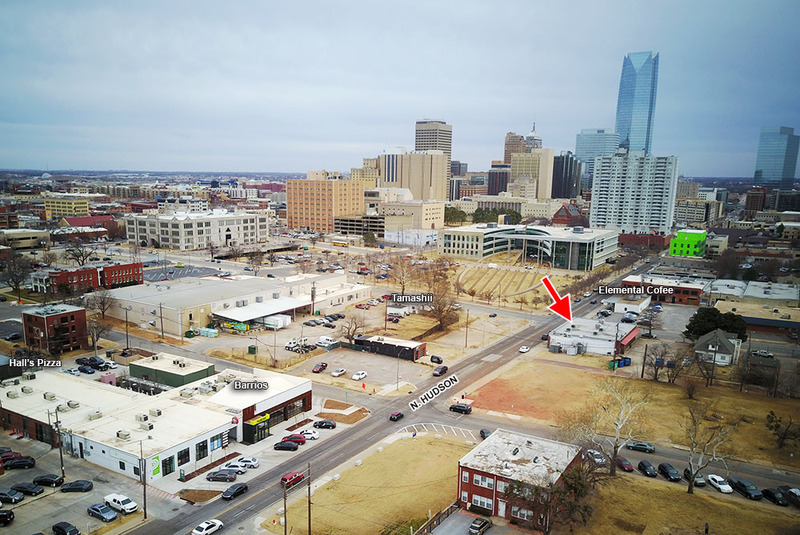 The building is directly north of Elemental Coffee, across Hudson from Tamashii Ramen and the old Swanson's Tire building with Barrios, Hall's Pizza and other tenants is just to the north.